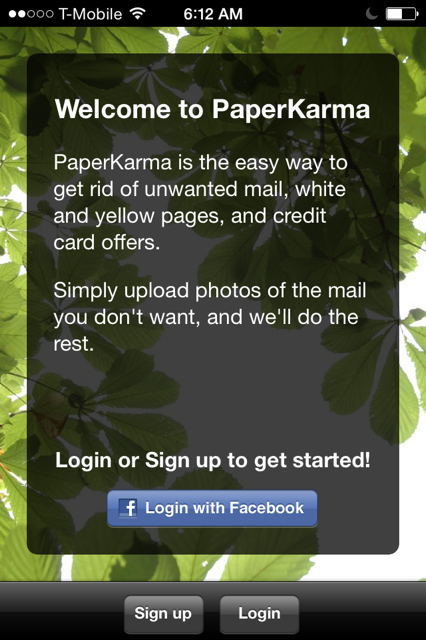 A year ago I started emailing companies asking them to remove me from their paper catalog mailing lists. Now I’ve discovered there’s an app for this (of course)! Other ways to cut down on junk mail in the U.S. are described by the Center for a New American Dream. If you subscribe to paper magazines or newspapers, my suggestion is to keep only the current edition and recycle others because once you fall behind it can be awfully hard (impossible?) to catch up. If you currently or previously subscribed to some kind of hobby or specialty magazine, you may be holding onto several or more of them because one day you are going to do those cool DIY projects, try those recipes, or take the time to read the articles instead of just looking at the amazing pictures. Maybe. In the meantime, that stack of magazines is serving as a visual and psychological reminder of Things You Say You’re Going to Do But Haven’t and Likely Won’t. Consider donating or recycling the magazines. In my case I’ve recycled several unread news magazines over the past several months. If I’m not going to make time for learning about current events, I need to be honest about it and just cancel my subscription. For years (years!) I had been meaning make my own household cleaners. And now I can say that I’ve made a bathroom cleaner and it works well. I was feeling self-congratulatory about my eco-sensitivity and was looking forward to teaching my five year old boy how to clean a bathroom using this new cleaner, and then I stumbled onto some facts about borax (which does a great job as a toilet bowl cleaner, BTW). According to About.com, “borax and other borates clean and bleach by converting some water molecules to hydrogen peroxide.” Boron also “inhibit[s] the metabolic processes of many organisms…allow[ing] borax to disinfect and kill unwanted pests.” That is exactly what I wanted, but like most other cleaners borax can potentially cause eye, skin, and respiratory irritation. 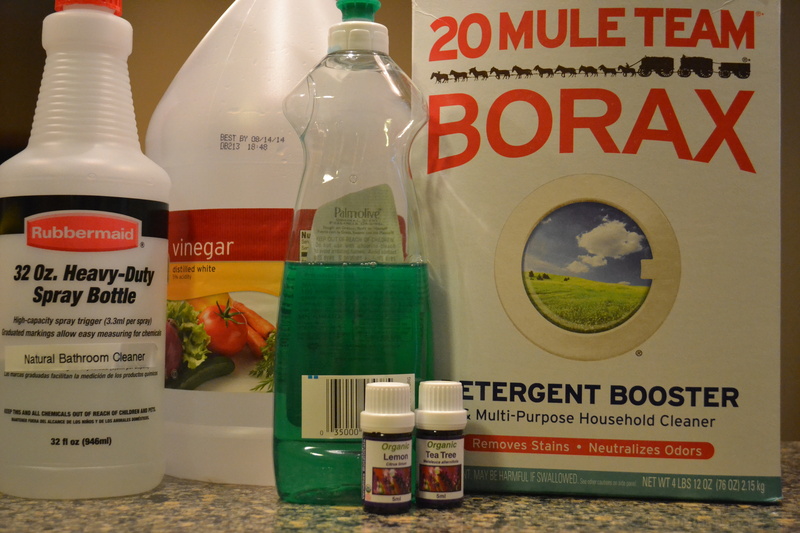 This cleaner may not be safer than ready-made “green” cleaners, but I take some comfort knowing the ingredients and their quantities. And by using a homemade cleaner I’ll be throwing out less packaging and, over time, spending less money. 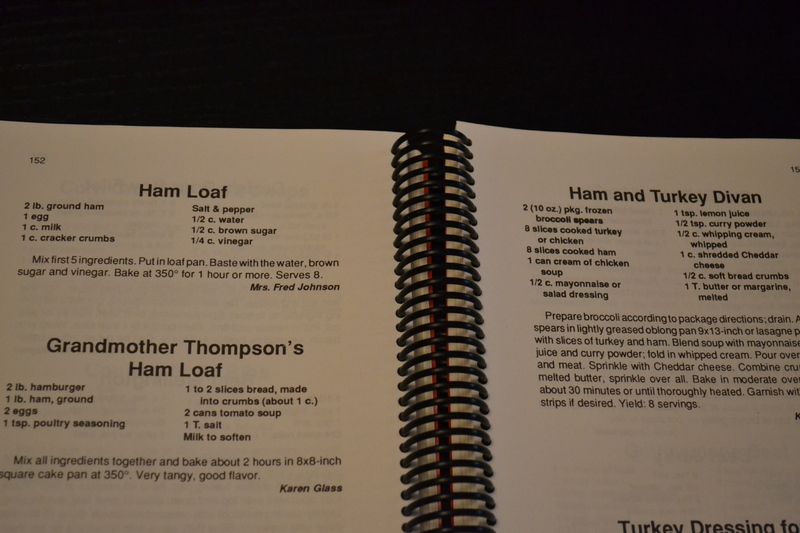 We are overrepresented in the category of cookbooks. There’s the original set of three Good Home Cooking cookbooks, a gift received in my preteen years, used many times and stuffed with clippings and recipes for things like brownies and wild rice soup copied in bubbly, preteen cursive. Plus several grocery store booklets designed to promote the use of ingredients like Pillsbury crescent rolls and Old El Paso refried beans. Plus several vegetarian cookbooks with styles ranging from earthy to light and refined. Plus ethnic cookbooks covering the cuisines of Korea and cultures found along the Silk Road. Plus a lone chili pepper cookbook. Plus a church cookbook consulted a handful of times for Christmas cookie recipes and once for ethnographic study private judgment (could these people make nothing without adding a can of cream soup or the equivalent 1/2 cup of salt?). Plus a book with panini recipes (gorgeous, but I never had a panini maker). Plus some cooking magazines. Plus the Joy of Cooking. For someone with access to the Internet who hasn’t done much cooking in the last five years, I’ve got about 18 more cookbooks than I can ever hope to use. And so I am going to set most of the books free now (love ya, Goodwill! ), expecting that more will go when I see that my life is not impacted in any way by the absence of the first wave. This morning I finally turned an old pair of eyeglasses in at the Target optical shop, after driving around with them in the map pocket of my car for months (with good intentions). 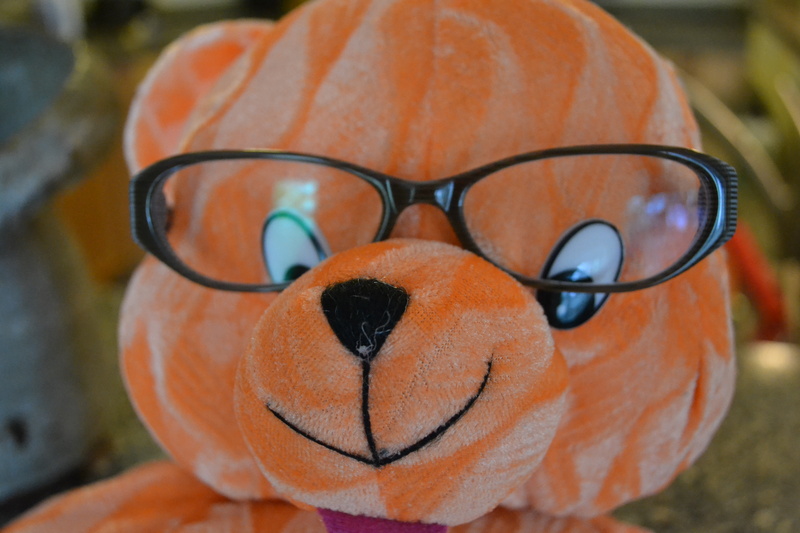 I learned that glasses collected at Target—as well as at LensCrafters, Pearle Vision, Sears Optical, Goodwill, Salvation Army, and Lions Club collection boxes—go to non-profit organizations such as OneSight and New Eyes for the Needy. If the lenses aren’t too scratched and the coatings are intact, the glasses are matched as-is to a recipient who shares your particular prescription. This is seriously low-hanging fruit: if you’ve got an old pair of glasses cluttering up your space, get them to your nearest collection point stat so they can enter the global pipeline to someone who needs them. At one point we had a jumble of dry cleaner hangers in the closet that made it even more difficult to find something to wear in the morning. 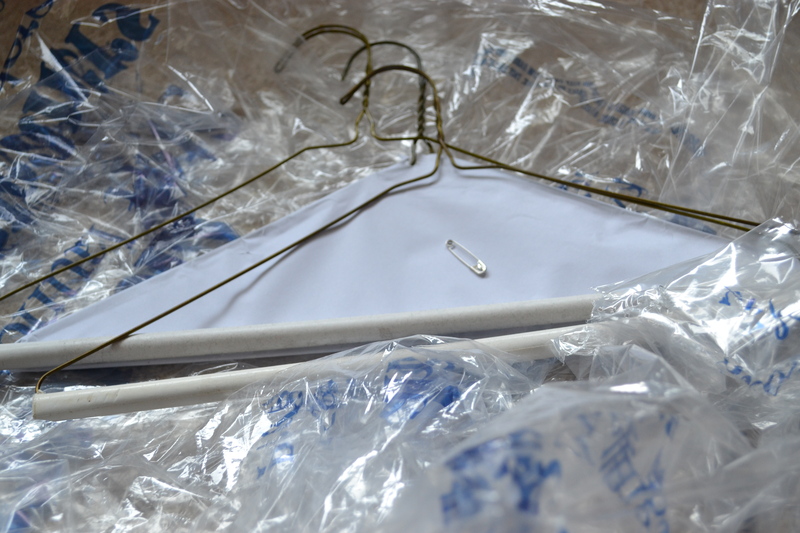 So I hauled the hangers and two dozen safety pins back to my dry cleaner and he gladly accepted them to be reused. I’m using the dry cleaner a lot less these days, and at the same time it has become part of my routine to return the accoutrement—including those flimsy plastic bags—for reuse and recycling. Do you have a pile of keys like this in a drawer, or maybe even on hooks? At our house we drop keys into a pottery jar (or onto a kitchen counter). 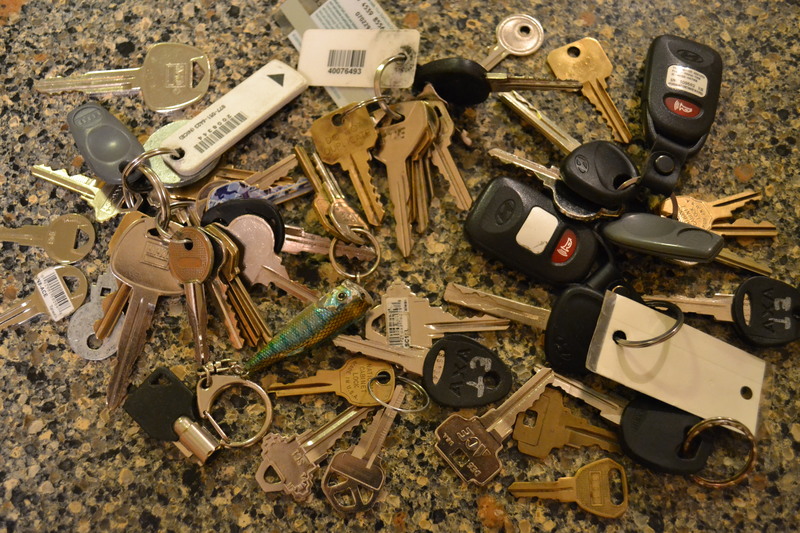 We seem to have a ridiculous amount of keys for two adults. For a quick sense of accomplishment, I spent five minutes doing what I could to identify keys and then got my husband to try to identify the rest. It’s small progress, but it also required very little time or effort, and no emotional decision-making.